Tesla Hydrogen Stick is a pure magnesium cylinder electronically activated with Tesla technology to optimize the magnesium alkalinity and electrical potential of the distilled water for drinking. Add minerals AFTER pouring water into drinking cup. 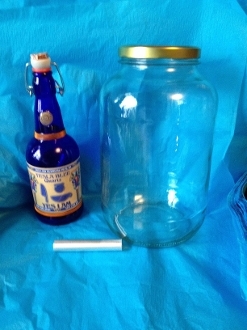 Do not add minerals to the Tesla Blue Quartz Bottle or jug containing the Tesla Hydrogen Stick. The size is 5/6 inch x 3.5 inch long. The Tesla Hydrogen Stick fits into all the Tesla Blue Quartz Bottles. USE ONLY DISTILLED WATER.